for part of the tour we rented a car and drove around Europe to the shows. needless to say... Rp highly enjoyed the autobahn. boys and cars. I'll never totally get it. 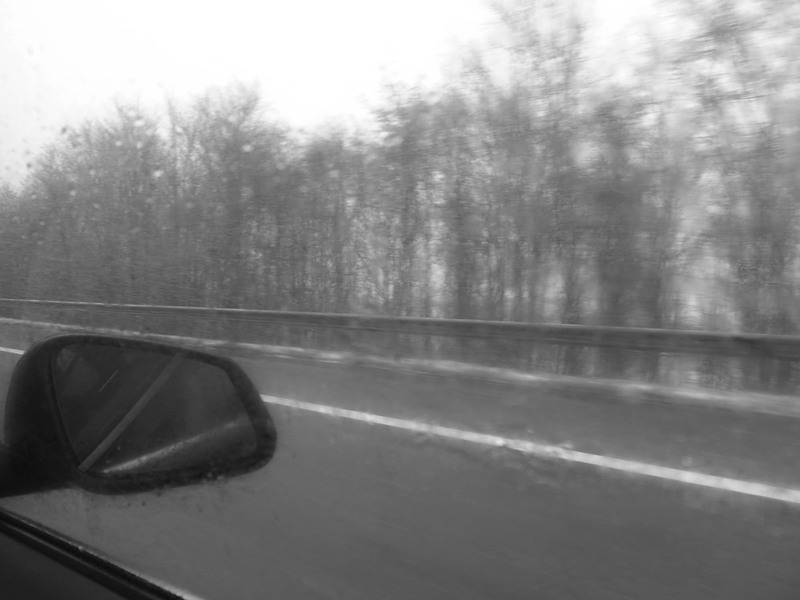 most of the drive looked the same... snowy and bleak. however, I would highly recommend this mode of travel around Europe. Super easy and cheaper than flying - especially when you plan to hop between cities every single day. put this on your to-do list.